This entry was posted in Uncategorized on November 22, 2011 by Gary. Finding this DCL has been very harsh, for some reason I don’t remember them being this bad during old turkey days.nbut I guess the bull is changing and is becoming a rougher ride. Seems like a normal DCL to me. daily cycle low for dollar is due in about week right ? anybody know when dcl and icl occured in 08. was 5/26/08 a dcl and 7/16/08 an icl. gary – how much your premium service cost. 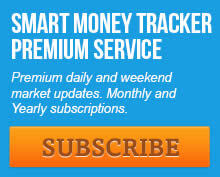 Click on the subscribe link on the premium website and you will see the subscription options. I’ve augmented my gold position but I just want to point out that the daily cycle downtrend line has not yet been broken. Could see one more puke out. B’s are basically consolidations if you look at the previous ones over the last ten years. Actually B-waves are the corrective move that follows an A-wave advance. It’s the beginning phase of the next C-wave that incorporates an extended consolidation. Right…Out of A-waves we get a correction and then price basically trades sideways into the beginning of C-waves before price begins to push higher again. i think its been a year or so since you went over the whole abcd waves and what they are. The ABCD pattern is explained in the terminology doc for anyone who wants to look it up. Could somebody recommend a good company to buy phsycial gold bullion (thinking coins) from in Canada? I remmeber this was discussed earlier, but I could not find the thread. Thanks for not letting me buy Netflix at 110! You are right, maybe bankrupted by 2012! How are you BTW? Very quiet at the moment for you, are you digging a basement? nice island reversal forming in GDX on the daily. I cannot comment on any other place. Hope it helps. You seem to have a different opinion on the current IC. Do you still believe this will be a failed cycle or that this is a good buying opportunity at this DCL? Just trying to hear from a couple opinions I respect. Have there been other DCL that have penetrated the 50 DMA or the IT trend line? If not then why would you think this normal? This looks more like an IT bottom except that it’s not in the timing band. There have been lots of daily cycle lows that have penetrated the 50. You aren’t going to be able to quantify cycles with moving averages or virtually any technical tool for that matter. If the market was that easy then every retail trader in the world with charting software would be rich. Most traders go through the “indicator” stage during the early part of their career. Eventually most figure out that you can’t make consistent money with indicators alone. Some people get stuck in that stage for their entire career. My suggestion is to get through that phase as quickly as possible, because once you do you will have a much better chance of making, and more importantly keeping money. Thanks Gary, I was expecting a different answer and am happy I did not get it. I’ll stay more focused on cycles. adding to GDX here. huge amount of buying this morning. will add even more if we can get through today without closing that gap. silver is looking strong, maybe we finally see 37 next month? Does the recent right translated nature of the dollar imply that it will continue – and is this the type of action that would drive gold into its yearly cycle low? I’m asking b/c the last DC didn’t behave as bullish as you were expecting (I believe) and was wondering if that will continue when the dollar finds its DCL. Thanks. So what is the general view over here about the PMs? A great buying opportunity now or is there still a high probability of more downside to come? GARY – has the puppy grown since you posted the picture last time? I am living vicariously through other dog owners. Throughout this entire C-wave gold only lost the 50dma during intermediate declines. It actually acted as support during every daily cycle…just saying. My view is that Miners bottomed yesterday. Gold was down $50 and silver over a buck, but Miners put in a reversal. I was using a few charts yesterday (this one for GDX) as a Tech Analysis guide along with the fact that cycle timing is due. The two lines of the triangle, it looks like they are drawn from connecting two daily cycle lows and two daily cycle tops? Actually, I cant find one daily cycle (apart from moves into intermediate declines) in any of the C-wave’s over the last 10 years that lost the 50dma….please correct me if im wrong. Think its a legitimate concern to say the least. You say legitimate concern , because you think it indicates more weakness? Just want to point out a couple of things….gold is now back in this C-wave’s channel (brokeout to make the 1923 high and again to make the recent 1804 high), the lower trendline is at around $1545-50. I say legitimate concern because like I said gold only loses the 50 during intermediate declines. I see only one time during this C-wave that gold dipped below it then shortly reclaimed and crawled it and then lost it again and continued down into an intermediate decline…and that just happened to be after the parabolic type move that topped on 12/3/09. WW – are you thinking that perhaps this current gold daily cycle low is an intermediate cycle low? And the previous intermediate cycle low is actually just part of the current daily cycle low? I actually just found a daily cycle during this C-wave where gold dipped below the 50dma a couple times before heading higher… was the 2/8/10 to 3/24/10daily cycle – the DC out of the Intermediate low from that 12/3/09 parabolic top. The 50 dma was lost in Dec of 09. However that was part of a decline that I personally label as a blow-off drop, so what Gary calls a D-Wave. Your reference to losing the 50dma is interesting, it’s a “marker” found common in all of these blow-off and D-wave drops. more evidence of a failed daily gold cycle to come here. Caution needed. If gold does happen to retrace to the lower trendline I mentioned at 1550ish it would be the next daily cycle that fails, the intermediate cycle would still be intact. We seen this happen in previous D-waves. I think the dollar is close to rolling over. If I use the UUP (it’s not exact , I guess, but I’ve always used it as a guide and it is a good guide).The Dollar shows the same pattern anyways & looks weakening I.M.H.O..
1) they were bought back yesterday afternoon (so got a little overbought on short term charts stochastically). 2) Today they gap up and get more overbought, so there is some profit taking and they drift down to fill all or part of the gaps. 3) volume down is light compared to the volume up…so I’m thinking (hoping) it reverses later today .Buyers should come back in and BUY I.M.O. you guys got me worried on the gold now. This is the dollars typical action before moving higher, consolidates sideways and then moves higher. I respectfully disagree. When I look at past dollar rallies I see the dollar sucking right up to (and above) the upper Bollinger Band and riding the band higher. Currently the dollar is struggling to get near the upper band. I think the dollar may even be rolling over as I type. Even if true, I don’t expect it to happen all at once. We could still see more chop first. Just MO. Good points Alex. I’m leaning on the notion that the PMs will at least test their previous highs (if worst case being that their tops are in). so if we have a failed daily cycle, how may days would/could/should it rally before failing ? 6? 8? IMO gold had no business coming back into this channel now, had the 50dma held it would have dipped its toe back in and thats about it. I believe the bear market has resumed and its going to be making new lows, which concerns me even more with gold’s next move. If we get a decent bounce in the market of course we will get a decent bounce out of this daily cycle low in gold, but if the bear quickly continues its going to pressure gold to continue lower…like Poly said, “caution needed” to say the least. The dollar looks weak to me. Not really like it’s consolidating for a surge higher. Just my opinion .If it at least dropped to the 20sma or 50sma for a bit, the wedge pattern would be eliminated. Just a few as an example. Are you still looking at a UUP chart? The dollar is back in positive territory on the True Strength Index also. I would have to reevaluate when the time comes of course, but from this distance in time I think the dollar could rock & roll. I watch DXY after hours and both DXY and UUP during the day. love it, seems like this decline has effectively shaken everyone off for good. gold is telling us , UUP is going down..
One thing I don’t quite understand about your outlook is that as you have previously stated, you believe (and I agree) that we are on the precipice of entering the next leg down in the bear market. With that said, Gold has shown to trade as almost a second derivative of the S&P500. How can you believe that the Gold D-wave is over if the drop in equities is only just beginning? It’s a real possibility that any day now, we may wake up to an escalation of the euro crisis and a full on European bank run. I think if that happens the Dow falls close to +1000pts, possibly on a single day. What happens to Gold in that scenario is anyone’s guess, but the action as of late would suggest it will be crushed as well. To me it seems like we a grabbing nickels in front a bulldozer here. The dollar has been looking weak to me too. Like someone said, with all that’s happened in Europe the dollar move has been pretty lame. I’ve also been assuming that Bernanke would devalue the dollar by helping Europe somehow. Looks like Zerohedge just put up a story on that. ok so i wish i knew how to put my futures chart up but i dont. the 4 hr tsi has broken a nice trend line to the upside and crossed over the 0 line. we are in a window for the dcl . dollar is due to top. im in and going to go do something else. I think all is good going long here. and alexs riseing wedge chart was good to. Im going to take off my Gold futures here, lock in some profits and wait to see a clean break back above the 50dma to re enter. Would just like to make sure today is not just a backtest of the 50. Like I have said before there are always reasons to suspect every rally. Apparently this one is the move back below the 50 DMA. However as I have pointed out before other than the eight year cycle low in 08 there has never been a time where the Blees rating hit a 90+ reading and then traded back below that level. I think it’s very unlikely gold will have a failed intermediate cycle. I also sold gold (DGP) position for a nice one day profit. Keeping 35% portfolio GDX position (although may reduce exposure by 1/3 by the close, leaving about 20% position). I think this rally for GDX stops between 58.50 and 59 and turns back down for at least a test of the lows. This coincides with a down-sloping 50 period MA on a 60min chart. Needless to say I attach a lot more significance to the COT Blees rating than I do to the 50 DMA. The Blees rating is a sign that big money. money that knows what it’s doing, is finding value at a certain level. These kind of traders aren’t easily knocked out of their positions. So the market is unlikely to trade below those levels. Like I said before, its not the Intermediate cycle that concerns me atleast. WW, great chance DCL is in for gold. At day 22, it came smack on the outer timing band (15-22)on strong volume and a final puke out that turned into a head fake. 90% of all cycles bottom by the last day of the timing band. Pukeout like events very deep in the timing band hold up being DCL’s with extremely high probability. The time to be really cautious will be at the TOP of the half daily cycle. A failed daily cycle this early would signal a failed and left translated intermediate cycle also. Since the last intermediate cycle was short there’s a good chance this one will be long. Said yesterday that I thought the DCL was in and put the futures back on. Thats what im concerned about as I mentioned, the next daily cycle. Although I do think the DCL is in I just took off my futures here because I would like to avoid a further pullback if the market continues to crap tomorrow. In previous D-waves we had failed daily’s that didnt result in failed IC’s I believe….please correct me if im wrong. Yes but a failed daily cycle invariable initiates an intermediate decline. Since gold is only on week 8 and so far it has topped on week 6 that would imply a left translated intermediate cycle and those usually go below the prior cycle low. Like I said last week one is going to have to enter when they are least confident and sell when they are most confident at this point in the game. Chasing isn’t going to be a very productive strategy because we are unlikely to get any sustained rallies for a while. So once one enters close to a daily cycle low they probably need to hold on for a couple of weeks before taking profits. Selling and then being forced to chase is going to drastically reduce profit potential in this kind of market. BoW #s are really starting to build. I think we probably go the bottom of the daily cycle today. My favorite, and most reliable, indicator, is Gary. The Gary Indicator says the bottom is in, and it’s by far the most reliable indicator I’ve got. bow? on the snp, gold ? everything? My little 2cts… Today Dax down 1.5 %, but Bund 10Y as well….So maybe turning points, sell Govies, Buy Stocks for year end?? I am learning, but is it true that if we touch 2230 on the Nasdaq, we have a swing high? Lets keep in mind…the stock market is in a left translated cycle, the dollar in a right. I think low was yesterday and I missed it (more on that later). I’ve chased and am in at 1x on gold futures and planning some entries to increase when I can find good positioning. There is also a chance the gold low is NOT in and I’m prepared for that too. I think gary’s idea of using yesterday’s low as a stop is good and it isn’t too much of a loss. Remember that this may be a big holiday week in the US, but asia and the EU don’t care about turkey day and the EU is still falling apart. So this might get interesting. If the low isn’t in and we go lower then look for 1620-30. Poly has had some work/comments in this area as well and knows that down action could still be ahead. Nevertheless it is worth a few % to go long here with belief in a bottom yesterday. You never know anything for certain, but simply just decide when it is a good time to put money on the table. This looks pretty good. Ver, yes my system did go to a sell.The buy is now at 1765 and moving down. TZ, I think your comments there are spot on. I’m long ten GC at the moment with a stop at yesterday’s low. Gary, looks like you were also right with your call of gold bottoming before stocks. I think it is due to poor manufacturing data out of China. The $ remalns in a rising wedge—just maybe breaks out to downside? or maybe $ and gold rise to gether. by now should realize these numbers we see now often have no relationship to what we see in the morning. The best way (I think) to measure your position is to relate it to your net worth (or your liquid investments). That is $170k each NOTATIONAL value (each contract controls 100ozs gold). If you had $1mil in net worth, then you would be 1.7x by the way I talk and discuss. This is easily correlatable among anybody here regardless of money. Gary is, for example, is invested 0.75x in the portfolio (25% or .25x of his accounts value is cash). 1x is special cause it means fully invested, but also means that you can’t technically go below zero or get a margin call on your position. 2x would blow out if a security dropped 50%, etc. Just a few comments on how I discuss positions. You would be 1.7x meaning that with a net worth of 1 million you would be holding 1.7million in gold. You would almost be leveraged 2x therefore. With almost all accounts you can NOT discuss how ‘invested’ you are by mentioning how much ‘cash’ you have because many investments don’t require any cash (per se) or require much less cash than the value they represent. To hold your 10 gc contracts, you have to have about $120k in margin (cash) but it never really leaves your account – just get’s locked up. But is still there. The cash line on the screen never goes to zero. So that is why I total up various positions vs net worth and use 1x, 2x, 0.5x, etc. Note that gary’s stop (the low of monday) is rather far down for 10gc contracts. I personally am not doing that, I’m looking at tighter stops higher up (with a corresponding risk of getting hit). Make sure you did the math on those 10 gc and are both ABLE and **WILLING** to accept that full loss. You may find that if we head towards that point you change your mind rapidly. Clearly, however, (as per my earlier comment) I have no idea how much 10gc represents to you. And none of this is supposed to be financial advice. I recall you mentioned you were starting at this and I suspect that 10gc is large. Maybe you aren’t and may it isn’t (and maybe I have no idea about the things I say. Buyer beware). I started on this blog (and subscriber) about a year ago. For the last TWO thanksgiving FRIDAYS (the Comex is open all week except for thurs afternoon to thurs evening), the price of gold has taken a rather substantial hit between approx 1am-9am friday morning (eastern time). Give or take. It did not happen three years ago. Going back further is a tossup, but the ‘new age’ of crisis, debt default, and ‘gold attack’ has been since 2008/9. I’m long now, but I’m worried about this fri as well for same reasons. This concern is increased because the rollover of the dec contract is approx tues of next week. The guys in charge don’t want longs to take delivery and any they can squeeze out with a late night low volume hit on friday is just more icing on the cake. Out my 1x gold futures. I don’t want a large stop here and I suspect a better entry during the holiday period as I have already indicated. It is too tempting for those guys to not push this down sometime in the next three days for a retest of the low. I could be wrong, but I’m willing to bet on it as pretty good odds. I’ll be able to get higher leverage anyway if so. I’ll be surprised if it happens for a third year in a row. TZ, thanks for your thoughts on position sizing. When trading futures I always have a stop and calculate my risk off of that in dollar terms. For example, if I were to add another contract at 1697 with a stop at 1667, my ‘risk’ would be $3000 ($30 x 100oz). That’s how I think of it. Also interesting Thanksgiving conspiracy theory 😉 My plan is to lighten up tomorrow and only hold a contract or two Thu-Sun. I’m more concerned about something crazy happening in Europe over the holiday. Over the last year most subs did over 100%. Keep in mind this is unleveraged and never investing more than 75% of capital. Every single one of those hedge funds is using lots of leverage to reach those kind of numbers. On a risk adjusted basis. They aren’t even close. hopeing / looking for a turn on the dollar today, but it could rally another 5 days ? Ask WW. It looks like his guess was the best this time. The market hasn’t even opened yet, much less closed. Does someone have a crystal ball I don’t know about? I’m just annoyed. Yeah, it is still far too soon to say any kind of sea change has occurred. Plus it’s the holiday, low volume, medium money guy can move the market week. Gold holding up well, and we are another day further in the timing band for our swings. Looks like the market will be opening lower today…if history is any indication, and I believe it has proven to be a very effective one because human nature simply doesn’t change, the market will put in a reversal candle today and bounce for 3-7 days, as the dollar dips into it’s DCL, before the market rolls over again and takes out the Oct 4th low. The global economy is running out of steam, Europe’s fuse is lit, the US is suffocating in debt and gasping for air, and for our troubles we get an irrational bear market rally that couldn’t even give us the damn curteousy of being right translated because it couldn’t insanely top quick enough so that it could get on with the bleeding asap.. The first decent bear market rallies had the decency of being right translated, atleast there was some sanity in their rise to fame and fortune!! At this point it looks like my friend Gary couldnt have been more right in saying, we may be about to witness the worst that human history has to offer. But if the insanity resumes we will watch Ben kick this market in Arse and send it to new highs in short order, but right now it looks unlikely that he is ready to stop the blood and abort the dollar. Makes me sick. It is not good indeed…And now, nobody wants the German 10Y as well! Too funny to witness as a 1/2 french person like me! Maybe they are finally going to let the ECB backstop the run on the peripherical bonds!! Could it not be that they rather buy PIIGs bond, which has a higher interest if they believe europe will be saved? Despite the “failed” German bond auction the DAX is just barely negative. I think that it is overdone…2 options: either the Europeans get their act together and the yield on the 10Y German paper is too low… Or, the Euro explodes and the Germans are in the same mess as the rest of Europe, higher yields…And wait for the US turnm, it is going to be fun to watch!! do you mean the us dollar turn? I think that screen shot may be blank. It was always my theory that we would see the bottom today. too bad that we are living so far away from you because I would have paid you a visit with a nice chocolate cake!! Today as in day 36 of the DC, why today? You mean you couldnt see the chart? I tried it and got it. try this if thats what you meant. All major U.S. stock markets will be closed on Thursday November 24, for the Thanksgiving holiday. On Friday November 25, major U.S. stock markets will close early at 1 pm ET. The Extended Hours session will be available from 1 – 4 p.m. ET. Looks like the bottom is in on SPX. Because the Super committee decision was due today. we cant make any money if these bs selloffs in silver continue. Just when you think you made a good trade it turns against you. Put the gold futures back on. Chocolate cake is my favorite and my birthday is Sunday. Oh yeah remember that, thought there might have been another reason. How did you cone that conclusion? That the bottom is in? will send you email later…going to see kids play tennis but will definitely send you something! I bet that I like chocolate cake better than Gary, especially since I cant eat it anymore! Power lifters eat cake? Must be For the eggs. I’ll try it later on a different pc. Firewall problems I think. Thanks. Gary – I always thought weight lifters have strict diets. Only protein and I don’t know what else. Protein & tons of fiber. He said it was for his birthday! Leave Gary alone! Was watching a lower trendline in the /es that was holding tight. Just observing that a huge H&S is forming on gold on the 4 hour, target approx 1600. I know, I know….just putting it out there. /es is testing lows now, see if it holds. 3x long gold futures here.. Just bought. Covered remaining market shorts, long SPX now. Earlier this month you posted that your dollar system went to a buy. Are you still in that trade? Also, have your hold times for your dollar system trades been in line with Gary’s cycle counts for the dollar? Where you been wilderbeast…I thought you got beat down by an angry beaver’s wife. Good risk/reward possibilities here, but I just cant shake the possible event/gap risk. Especially with this weeks low volume and big headline risk. This is when you buy fella’s, in a see of red and scared to death. Decided to avoid the gap risk, by just buying ATM options that cost as much as id care to risk at this point. Slow burn on VIX for a month or more. High levels but still no indication of a fear/capitulation selling spike on stocks. Interesting to say the least. It is coming, I promise you. But from what levels and what sort of economic chaos if we are already here and no dice yet? Gold must be sniffing out an upcoming drop by the dollar (day 19) into it’s daily cycle low, as despite a large move by the dollar, the gold price has held up well. I was looking at the NYSE Equity put/call ratio the other day and noticed what looked to be a lot of complacency in sentiment, normally with this sharp move lower we’ve had over the last week you would see a big spike in Puts versus Calls and we are not seeing that yet. Gold must be smarter than stocks then…. For those interested, very effective and free market sentiment indicator. “On practical terms, how can the government cover the losses of AIG and the rest of the Wall Street idiots and not cover this situation. AIG should have known what it was doing and it was their own fault they lost what they did — AIG and Fannie and Freddie deserved what they got. But MF Global customers were innocent and got rammed by the system, including the CFTC. The legitimacy of U.S marketplaces is at risk here. If a customer cannot trust his money in a seg account in futures, then nothing can be trusted at the end of the day. When our currency is going up, someone’s is going down. Seems like the Euro’s might start covering their assets by purchasing gold. I was slightly tongue in cheek when giving gold insight into cycle theory, but if it was all about the USdx, gold should be lower by a lot more. WW, buy when there is blood 🙂 I’ve doubled down too. I don’t feel like doing the math right now but if this was the upward resolution of a Rising Wedge (UUP) or a Pennant ($USD) it could peak right around the previous high, which could result in the formation of a double top. If UUP closes above the upper trend line of the Rising Wedge today (which I’m sure it will) that is actually the signal to take a long position. However, the ride could be short. I wouldn’t put too much faith in chart patterns this late in a daily cycle. Upped closer to 4x, but moved some stops up too. German Bund is getting a beating in the backyard…Very interesting development…I think that might trigger an resolution of the European endless discussions…. what is the chance AGQ goes to 30? Ur welcome–I think it’s done. Today, by the way, the markets are down a lot and the Treasuries cannot make it up for long…Exactly what happened on the German market since last week…. Enjoy some time away from the Kitco charts. Although we have a lot to criticize in our current political, economic and social situations, we have much more for which to be thankful. Visit Haiti and you’ll be thankful just for clean running water and all the other things we take for granted. >German Bund is getting a beating in the backyard…Very interesting development…I think that might trigger an resolution of the European endless discussions…. I think the powers-that-be purposely sent a signal today with that withholding of bids. I think it was a deliberate coordinated action against the germans with the intend of getting them to crack. To the people who don’t believe in all this red pill stuff, please ignore and go back to whatever it as you were doing. Clearly I’m delusional. you are worst than me! Indeed, I think that it was a F.Y moment! I’m sorry for scaring some with the ‘people in charge’ talk. Here…have a cookie. As soon as you finish eating it I promise you will feel right as rain. Neither of us is ‘worse’. Despite my levity we both actually understand how the world works. Germany must crack and allow printing or the masters see their paper fiat world-of-theft-and-control start to crumble. Cascading defaults highlighting that it is all an illusion. And if that happens they can’t put the genie back in the bottle for generations – people don’t forget after going through that. Those from the 30’s sure didn’t. Can’t have that now, can we. In for a small day trade on TNA @ 35.47 (7% of total portfolio – but only risking to the days low of 35.25). Some MINERS too. XG was $7.85 , all of a sudden it’s $8.45! And AAU, GSS, IAG , green, many others recovering too (like down only 1% now). Have a great thanksgiving everybody. Let’s all stay safe. TZ, nice job adding when you did. What price did you get, if I may ask? Even though charts and indicators are screaming rebound here, I don`t think it will happen in the markets. Maybe when SPX is at 1150. I was thinking we would see SPX 1150 today, maybe not. 1160 on the /es is holding for now, double bottom. Been around, quite busy shoveling snow and keeping the house clean for the potential buyers. Finishing up some touch ups and catching up on sleep too. CNBC talking about fund managers torn on the direction of gold if Europe implodes, $500 and ounce say some, and others $4500. Doing good…need to get back to work on the house! All the electric and insulation is finished on both floors, need to finish the sheetrock, maybe hire someone to come in and bang it out quick so my kids arent running around the house this winter wearing puff jackets with runny noses. Yeah you don’t want to collapse in a heap again… Maybe spend a bit of cash here for that. I hired a guy just to finish the sanding for me as I hate that very very much. I can’t believe the house is finished though, sort of anticlimactic…. Rally into the close, turn today’s candle into a reversal. Either bounce pretty significantly for 2-3 days or trade sideways for a week or so, while the dollar dips into a DCL. At the current pace the Dollar DCL might happen at 80. Moved the TNA stop as past experience with TNA is that it tends to take out stops regularly and take off with out me. Going to hold the day trade till the close. Its late in the dollar cycle though already. I wouldnt be suprised though to see the market collapse further and take out the oct 4th low before bouncing, like I have been saying, we need to keep in mind that this daily cycle is left translated and could easily stretch to a 45 day cycle. sorry, you need to convert grammes and Celsius..are you alright with that or should I send you an American version? What is 8 eggs in standard vs metric? Out eggs are square, how are yours?? * – A pear may be substituted. of course I am just kdding…if your doctor said something, you follow his/her advice…I don’t think that you want to see Hairy Bertha too often! Enjoy your family this w/e!! Took off my SPX long, good thing I did because the market just puked right after. Indeed, I think fat is unnecessarily maligned as the root of all evil/heart trouble. Look at the French in general – plenty of butter and delicious chocolate cake but relatively low rates of heart disease. There are lots of other factors at work which are either ignored by medical practitioners or simply not understood. In particular, I think there’s a lot of emerging evidence that grains (not fat) are the real culprit in a lot of cases. But I, for one, intend to enjoy as much red wine and chocolate cake as possible while I’m still young! Have a Happy Thanksgiving everyone, get nice and loaded on Tryptophan so we can all sleep until monday! LOL..yeah I just brought the whole damn world down into the next session! What a puke at the end. I guess it’s fright to hold. Sir William Wallace, sorry I haven’t read this blog for a while, but what’s your take on gold if you don’t mind (re-)sharing please? Thanks much, and hope you are WELL. I got a bit above 1680 for all my buys today. About 1/3 my position has a stop near today’s low. Rest of my position has a stop near monday’s low. I mentioned IB many times as a broker for recommendation in the past. (Personal opinion, of course. This post is at your own risk as always). When things were falling apart in 2008 I did a lot of due diligence on my own part as a customer. I looked at extra insurance, corporate polices, where they put client cash, computer systems and processes in place…. you name it. Not even counting the fact I was a customer for many years before and knew I could trust them and the systems from what I had experienced. Tight ship. The MF Global disaster has only helped to highlight that nobody will look out for you other than YOU. If you sit asleep at the wheel then you will have little excuse when you become a victim. Go to that page and make sure you fully read each tab: Financial protection, Security, FAQ, Login. IB puts a lot of work into how they run their company and why they suggest they are better than others. As you read point by point, I suggest you will come to realize why I believe they are the best choice out there. To anybody with a commodity account somewhere else, I highly encourage you to compare – point by point – what you are using vs what IB has. You will likely find that your current choice is woefully lacking in many of them. I’ve reviewed the MF Global “why you are safe with US” PDF they had on their site before it was taken down and can say that it only had the bare minimum statements and didn’t even come close to IB’s comprehensive and thought out approach to multi-layered security and protection. Maybe there was more on the MF site, but not by what I’m hearing in the news as to how this recover is going and what happened to people. 1) they didn’t appear to have any excess insurance from a 3rd party. IB has Lloyd’s of London. Note also that insurance companies don’t like to write policies they think will have to be used, so maybe no 3rd party was UNWILLING to cover MF. Remember that before writing a large insurance policy, such a company will usually evalute the target as a risk. If they don’t like it they won’t insure. It’s a two way discussion. 2) An IB account (standard US) includes BOTH a security side and commodity side which are LINKED. At IB any excess cash (including profits) beyond margin in the commodity account is SWEPT (nightly as I understand it) to your security account side. In the US a “security” account is much more protected than “commodity” account. Most of the problems you are seeing with MF are with people who had commodity accounts. And from my understanding there was no similar dual account setup or sweep at MF so all their cash and profits were in those lesser accounts when the BK came. The list could go on, but that is a taste. Some of you will listen to me and do the work. Some won’t care and darwin will probably pay you a visit in the future. Not my problem cause I gave you enough to start and help out. You will be smarter, tougher, and hardened as to the safety of your money. Maybe you even find a better broker and my choice has problems. NOTE: of course that IB considered MF, checked them out and then RAN away from the deal. They didn’t even want the rag-tag customers after cause they could tell how bad it was going to get. So that’s my bit. It is ALL OPINION. I’m only a customer and get nothing for saying this (except what I believe to be one of the safest accounts and firms in the business.) If you benefit and choose to agree then IB would welcome your business and having more business helps them and me and you too. win win win. Same disclaimer as before. These are ONLY my OPINIONS and not professional financial advice. I may be wrong and you are on your own with whatever decisions you make. All I can say is I didn’t go down with MF global as a customer of the LARGEST commodity broker in the US. And I don’t think I’ll be going down in the future either. How sure are YOU guys? TZ – thank you for your info on Interactive Brokers. I switched to IB last year from Schwab since I was looking to short VXX and Schwab didn’t have shares. Didn’t know IB has so much more benefits. 4) and trade in pretty much ANY security on ANY exchange ANYWHERE in the world. So I’m pretty sure this covers all you guys who keep asking for a good broker in X country and don’t take the time to look for somebody who covers ALL countries. NO, IB doesn’t want somebody who has no investing experience or no money or is unwilling to learn things by reading on their own. Great I say to all these! Keeps MY costs down and the phone lines open and the systems running properly. Again I say my comments are opinion and believed right. Maybe I’m an idiot giving you bad advice. Investor beware. This is not professional (or tax) advice and you are responsible for your own actions. Well the main disadvantage I see is that their charting or analytical software part of the trading platform isn’t that great. It barely gets the job done as far as simply letting you view or keep tabs on a security. It is awkward. My main charting application is Esignal/Qcharts (although I keep a gold/silver and dollar chart open from IB all the time on one screen). The charting/analytical part also doesn’t have scripting or testing or custom indicators or any of that stuff. Tradestation is better in this regard. Or think-or-swim. Or a few others many of you are aware of. IB’s trading platform DOES connect and have an API and WILL work with other applications which can use their quoting data or execute automated trading or whatever. But you have to get this other program, pay for it, and get it setup and programmed. Many high end people do this, but you wont get it out of the box like on think-or-swim or tradestation. If they would buy something polished or partner up with somebody who already had this stuff it would fill the last major hole as I see it. I also wish the Android app could do more and wasn’t so limited. For systems and testing and scripts and good (free) charting It would appear to me your best option is to open a small account with Ameritrade/Think-or-swim, park some minimal money there and use their system for all that. But then use IB for the rest. I haven’t done that, but I’m gonna check out TOS platform at some point. Buyer/Investor beware. Again just my opinions on all this stuff. While I originally started the IB comments about security, and also then pointed out they have subsidiaries covering almost every language and main countries in the world, they also have some of the lowest costs and commissions ANYWHERE. Good luck matching them against whomever you use now. The margin interest rate on USD over $100k is 1.08%. A gold futures contract is 85 cents (plus regulatory fees as is normal for everybody). Buying 100 shares of GDX is ONE DOLLAR. Buying an option on GLD or GDX is ONE DOLLAR. Thanks for that info, TZ. If you go to the commissions page you will see that those prices I just gave you such as “ONE DOLLAR” are the MINIMUM. You actually pay LESS if you trade more than small amounts like a single option at a time. I think most of you trade more than single contracts or options. And to close in fairness since I am a rational self-motivated person, I want to definitely hear of ANY company that one of you thinks beats IB. I want to know cause I’ll be JUST as interested in switching to them as I am attached to IB at present. But I have never found anybody close. Bill needs to stay at whatever broker he is on though. Exactly! That’s the setup I personally use. And for anybody with any serious amount of $$$ at TOS, check out a chart of their clearing firm Penson (PNSN). Class-action lawsuits and “accounting irregularities” alone are red flags, but that chart says it all.